Being the best dressed at all times is not always required. However, there are some pretty important events we all attend at some point in our lives. 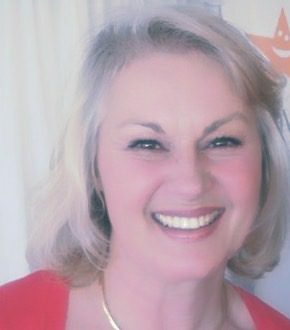 These might be events considered to be milestones – therefore, life-changing times in our lives. Obviously, all that really matters is what happens in that moment, but if you can look amazing whilst doing it, even better! Plus, some of these notable events tend to be pretty formal, so it is best to get into the spirit of things by dressing up and being the best dressed for the occasion. Take note of these tips for three key events. Use them for other special occasions where you want to be the best dressed. Meeting your new partner’s parents for the first time is always a daunting occasion. It also gets slightly more scary the older you get, as the relationship is more likely to have some longevity. Therefore, making a good impression is vital. Although you are, of course, likely to impress them with your wit and charm, how you are dressed can also have an impact on how they perceive you. There is one main rule above all to follow here, and that is keeping demure. Show your personality, of course, don’t be fake. Best dressed means occasion appropriate so DON’T dress down in your fave baggies. Do apply makeup. Being subtle and not overly provocative works best for meeting the parents. A classy coat, a great pair of jeans, a well-fitted shirt and some heeled boots are fail-safe options; you just can’t go wrong. If the weather is warmer, an elegant tea dress or floral sundress with wedge or heeled sandals is perfect. Being asked to be a bridesmaid for your friend’s wedding is one of the greatest honours in life. But once all the hugging and crying is over, you will need to think hard about the bridesmaid dresses. In most cases, the bride will choose a selection for you and the other bridesmaids to try on, and then pick from. But there are a few important things to consider before making a decision. 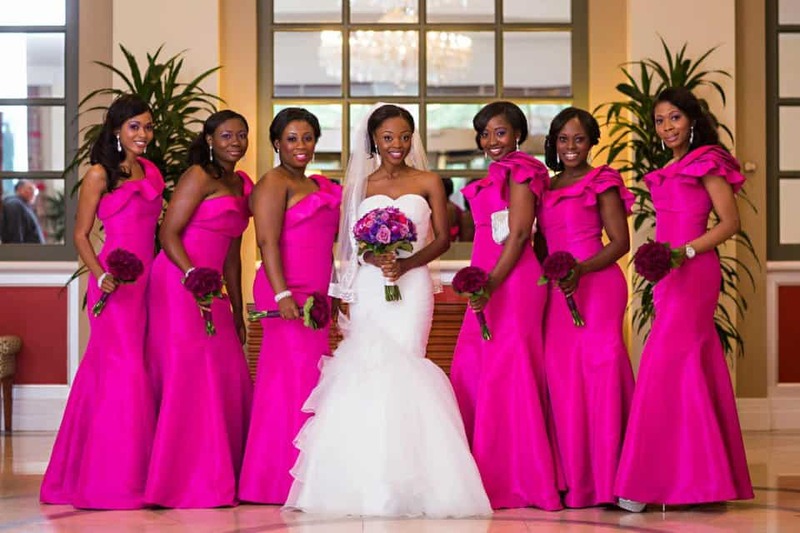 Firstly, it has to be a design that flatters all the bridesmaids, not just yourself. If your fellow bridesmaids are all different shapes and sizes, try to push for a design that will suit you all, even if it wasn’t your favourite dress. Remember to keep it classy and elegant – and most importantly, it can’t be anything that could upstage the bride! Be the best dressed bridesmaid you can be, not simply the best dressed. It finally happened – after years of hard work in your job, it has paid off and you got the recognition you deserve! This could be a big promotion or maybe you led your team successfully to win an industry award. Whatever the scenario, how you dress can have a lot to do with your success at work and how you are perceived by colleagues and competitors. However, that doesn’t mean that you need to go fully corporate and never step out of a grey suit again. There are hundreds of killer outfits you can wear at a big work event that shows you are both professional AND stylish. 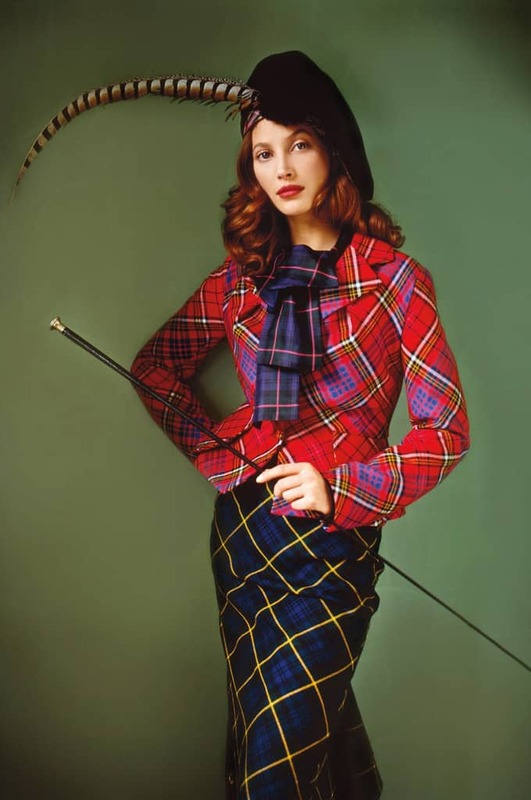 Trade your black skirt-suit for an eye-catching tartan number instead, a la Vivienne Westwood. As long as the cut is occasion appropriate, there is no reason why you can’t inject a bit of colour into your working wardrobe.